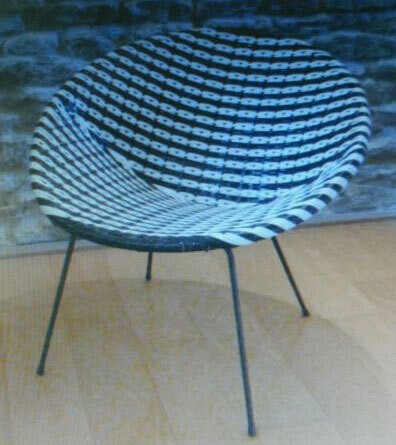 Just been browsing eBay and this 1960s children’s woven chair jumped out at us. Not least because we bought one for our little one’s room not too long ago. They really are cool things, especially if you love ‘retro’ in your life and indeed, in your child’s room. 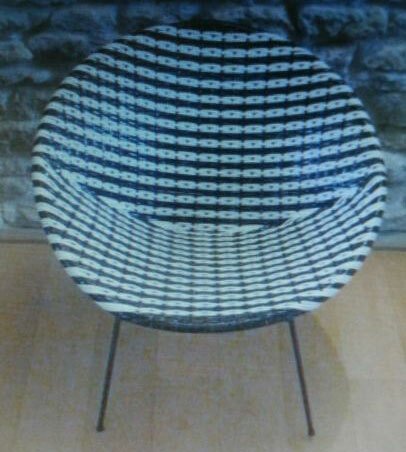 This one is in a lovely two tone blue colour scheme for the weave, built around a wire frame. It’s also described as being in ‘excellent original condition’, which is a bonus. But best of all, it is up for £45, which looks great value to us.